The shocking events that defined the “so called” roll out of the nation’s new website for our first major health insurance program— that will serve the rich, poor, young, old, healthy, and sick—have again led us back to questions of leadership. While none or few of us will argue that serving over 30 million uninsured Americans is anything other than a daunting challenge; most of us still have an abiding confidence in our 21st century technologies, management methods and most importantly, our leadership acumen to pull off even the most ambitious programs. The question remains: Has our confidence in our leaders been misplaced? Have we rationalized a steady stream of failed leadership in the public, private, religious, political, sports, and academic sectors through the lens of specialized circumstances relevant only to a singular event that grabs headlines for 15 minutes? Or do we face a crisis of really CHEAP leadership that is costing us an unbearable PRICE? 1. Achieved with little effort. 4. Worthy of no respect, just to note a few. Are our leaders considered small in value or of poor quality? Why do we continue to see the same ‘flawed leadership’ saga time and time again that seems to be marked by fragile core values, selfish ambition, tunnel vision, and hyper-political motivations? Is this the model for the 21st century leader? Should we just throw out the playbook and finally admit to ourselves that what works in leading mission critical or high profile endeavors just does not conform to our core values? And what about the price, that ultimately, we will all have to pay? As followers, disciples, employees, and members, how much longer can we absorb the domino effect of flat out bad leadership compounded by somewhat dysfunctional management styles, which is the first cousin of CHEAP Leadership? 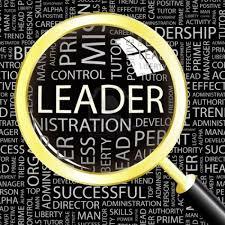 We can, in fact, find ourselves cheapening our own concepts of leadership and followship. Today, those behavioral types like the paranoid, deceptive and opportunist have become commonplace. Are we prepared to pay the price for just plain bad behavior? Perhaps, the answers to these questions should include a discussion about leadership qualities as well as our selection process. I am sure that your experiences are rich with pearls of wisdom about leadership. Through the “The High Price of Cheap Leadership” blog, I will be exploring those costs. Stay tuned and Let me hear from you!